We're accustomed to using our trusty casserole dishes to produce mouthwatering dinners to the delight of the whole family. But sometimes, we have the rare opportunity to push the limits of our favorite kitchen dish and see how far it is willing to go to delight our taste buds. 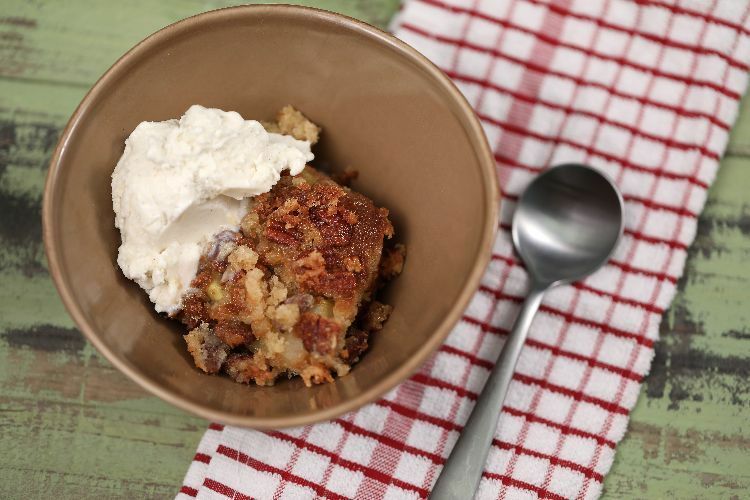 This recipe for upside-down spiced apple cake shows off baking at its finest and simplest, and best of all, it can be made directly in your casserole dish! You need only a few ingredients to create this insanely delicious post-dinner treat, packed with candied pecans and tart Granny Smith apples, all served with a deliciously moist spiced cake that can be prepared in under 10 minutes! This might all sound too good to be true, but we guarantee, this recipe is one that is sure to play a recurring role on the family dinner table! 1. Preheat oven to 350 degrees Fahrenheit. Grease the bottoms and the sides of an 11-by-7-inch casserole dish. Place the pecans in the bottom of the casserole dish, and sprinkle 2 tablespoons of brown sugar on top. 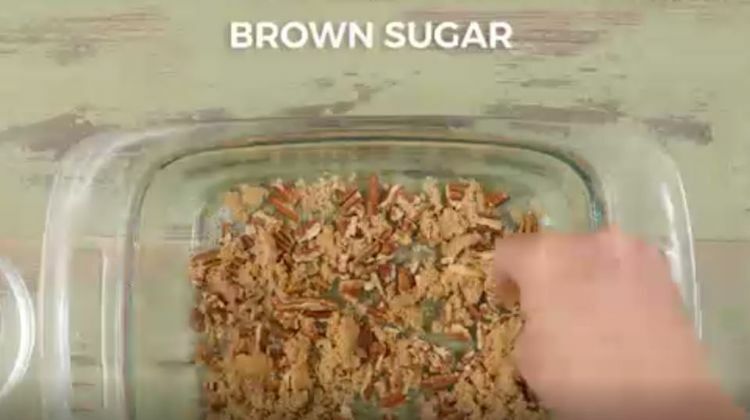 Bake the pecan-brown sugar mix in the oven for 10 minutes. 2. While the pecans are toasting, in a medium-sized bowl quickly blend the eggs, butter, granulated sugar, flour, baking powder, vanilla extract, cinnamon and nutmeg. 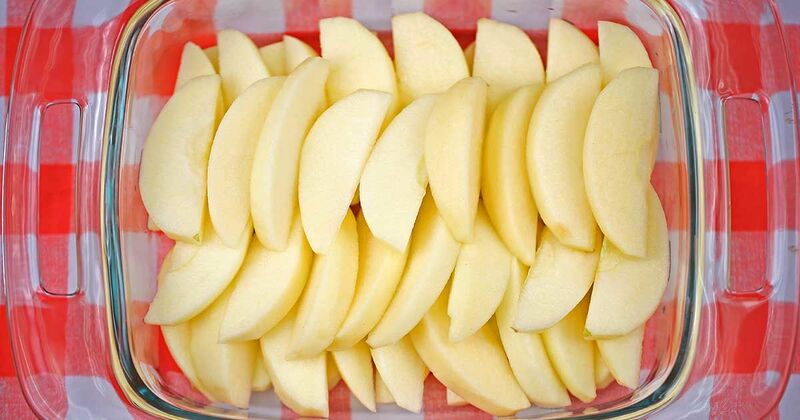 Peel and cut your apples into slices and set aside (sprinkle with some lemon juice, so the apple wedges don't go brown). 3. Remove the pecans from the oven, and place the sliced apples over the top, trying your best to create an even layer. Sprinkle the remaining 2 tablespoons of brown sugar over the apples, and pour the batter over the top. 4. Bake for 35 minutes, or until the cake is springy to the touch. 5. Carefully flip the cake over onto a dish. Serve with vanilla ice cream or whipped cream. Pro tip: Make sure that the entire casserole dish is well-greased with butter to ensure that you can flip the cake over without issue. Use a butter knife to loosen the edges before flipping. You can eat these low-carb breakfast muffins on the go, and they're packed full of nutrients to fuel your body.